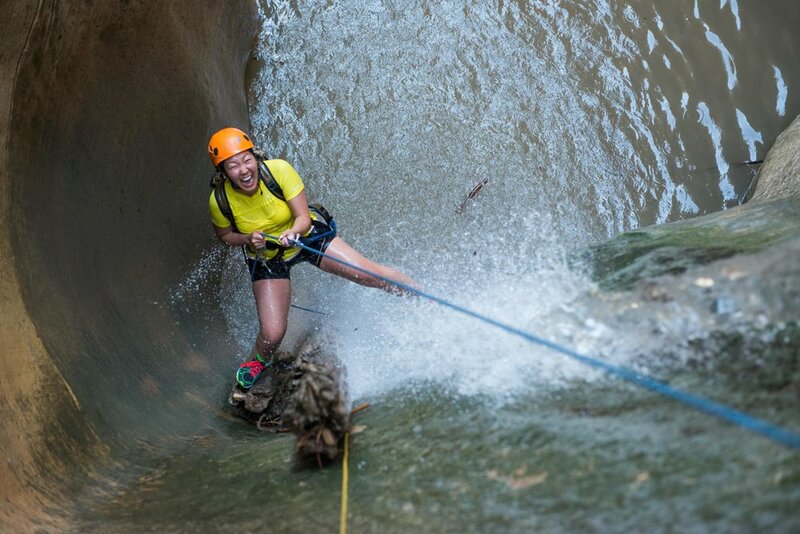 Let us capture the memories, beauty and excitement of your once in a lifetime experience with Zion Adventure Company. Enlighten photography's Seth Hamel and Kate Hope are professional adventure and landscape photographers specializing in canyoneering, rock climbing, and portrait photography. Their professional yet easy going approach to adventure photography is guaranteed to capture the best moments of the day without distracting from your adventure. With this approach it takes very little time to forget about the camera. Your adventure in the Zion area will be very special. 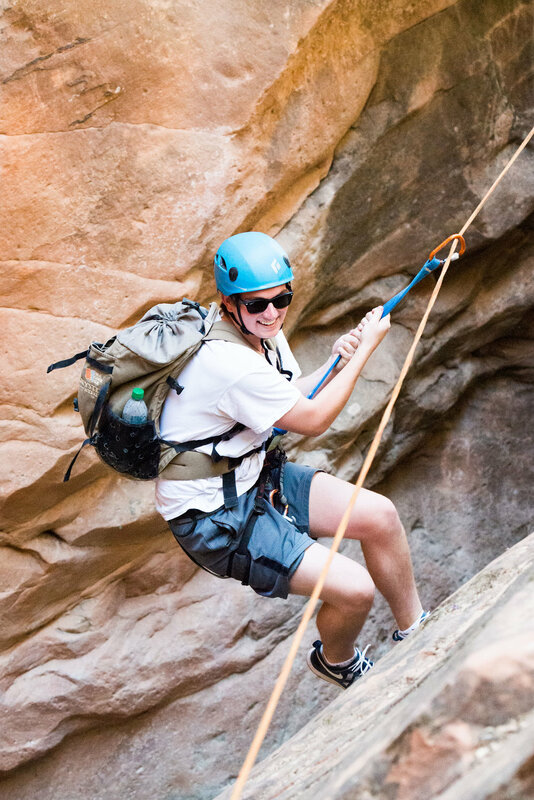 It is more than just an activity that raises people’s adrenaline levels; an adventure in Zion allows you to experience one of the most spectacular places on earth. Professional photography for your adventure is pure documentation of these rich moments in your life: real emotion and raw experiences in a world class area known for its adventure and photographic potential. By availing yourself of this unique documentary-service, you will forever maintain vivid memories of your adventure in Zion. Includes 100 high resolution images and an online gallery for viewing, sharing and downloading. We work closely with Zion Adventure Company to ensure a seamless booking. 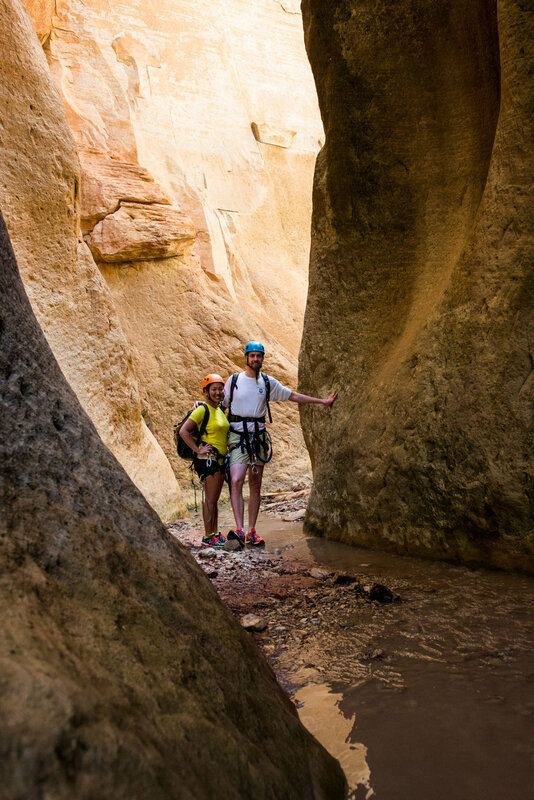 When you are ready to book your outing, call Zion Adventure Company at 435.772.1001 or email at info@zionadventures.com and request a photographer for your chosen date and adventure. They will take care of the rest. You will receive a booking confirmation. In addition to adventure photography, Enlighten Photography offers the original and best guided photography excursions for every level of photographer throughout the year on a daily basis.